Moving to Negaunee, MI is the perfect choice for those who want a break from the city life. If you would prefer to live near serene surroundings in the Upper Peninsula, Guindon Moving & Storage is the company to call to help you move. Our movers are highly experienced with providing moving services in the Upper Peninsula including the Negaunee, MI area. Whether you’re moving locally, out of state or even overseas, we have the training and resources to carry out these types of moves successfully. Your residential and commercial moves are in good hands, whether you’re moving to a new home, new office, new hospital, or a new school in Negaunee, MI. For over 80 years, we’ve served Northern Michigan and Wisconsin residents providing them with successful moving and storage services. Moving up north to areas like Negaunee is a decision that many people make when they want to enjoy a tranquil life. Let Guindon Moving & Storage help you make your move to Negaunee a success! Negaunee, Michigan is located in the Upper Peninsula in Marquette County. History buffs might enjoy living in this city because it’s known for its rich history. A historic gem in Negaunee is the Michigan History Center, which has museums, archival collections, and educational programs to choose from. Some of the archived artifacts they preserve include photographs, documents, objects and historical sites. You can also visit the Michigan Iron Industry Museum for free, which centers on Negaunee’s history of ore production. The Upper Peninsula is known for the beautiful outdoors encompassing the distinct weather patterns of all four seasons. Negaunee residents experience awesome summers, as well as beautiful snowy winters. Luckily, the town has activities to explore in every season. Negaunee is known for having the only full-length luge course with a naturally-iced track in the United States. A luge is a special type of sled used for high-speed racing. In the winter, you can watch the annual international ski jumping competition at Suicide Hill. You can also admire fireworks over Teal Lake at the summer Pioneer Days festival and in the winter at Heikki Lunta Winterfest. Negaunee also has tons of summer activities you can experience. If you like being on the water, you can go swimming, boating and fishing in the nearby Teal Lake. If you’re really adventurous, you can even try windsurfing. 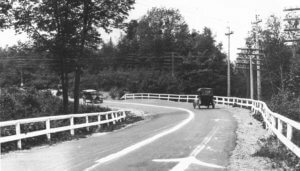 No matter your reason for moving to Negaunee, you won’t be short on adventures in this eventful town. If you’re moving to Negaunee, MI, you’ll want to hire movers who are familiar with the city and community. 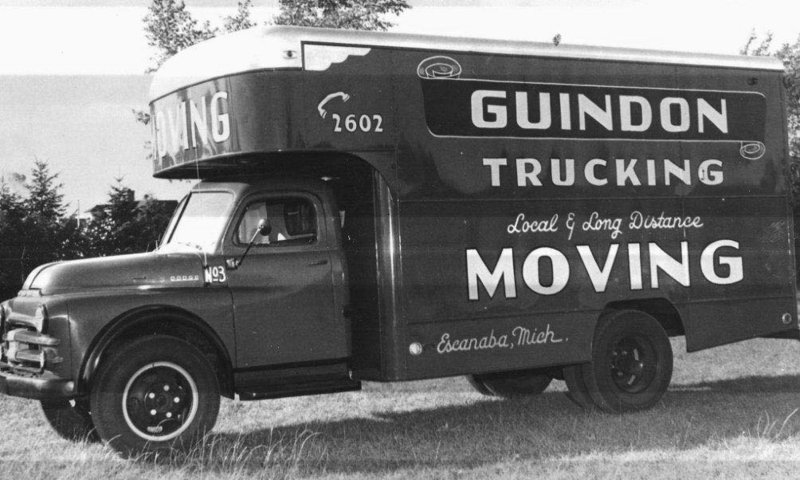 At Guindon Moving & Storage, our movers are trained and experienced in Negaunee area relocations. We will provide you with expert resources and services for an efficient move. If you need some household goods or office equipment set aside during your residential or commercial move, we have reliable storage solutions for you. We will make sure your items are safely stored in our storage warehouse, whether you need them put away short-term or long-term. Whatever your moving and storage requirements may be, we’re here to help with your move to Negaunee, MI. To get started on your Negaunee move, give us a call today or fill out our online form for a free moving estimate. get a FREE ESTIMATE for your move! Highly recommended!! Have used this company for 4 moves, Scott is a pleasure to work with and his follow up is amazing. His staff, including John, Brian, and Tony are a top notch crew. They moved my mothers entire contents of her 1300 square foot home in less than a 8 hour shift. Wow is all I can say, and if you want it done right these are the people to call!! Thanks everyone for a great experience! Guindon Moving went above and beyond to ensure my move went very smoothly, despite a couple of glitches on my end. I recommend everyone should contact Scott J at Guindon/Stevens when their move involves MI's UP. I have used the Guindon guys for three different job locations moving stuff. Have also been able to have them help with the new job venture and the invaluable! Big Mike, Hayden, Patrick, those guys were a huge help as were Mike S and the rest of the crew. Thank you for helping us out! !